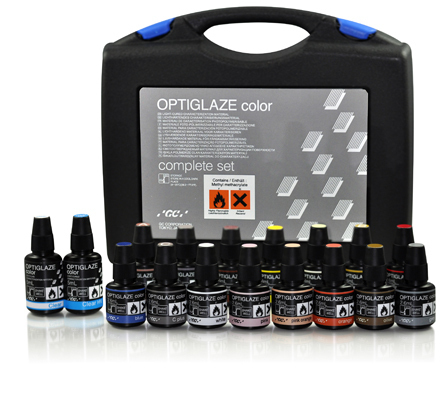 OPTIGLAZE Color is a revolutionary new material developed specifically to stain and glaze your composite, acrylic and PMMA type materials. 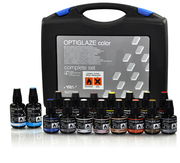 You can now change shades, shift value, characterize, create effects and glaze all your resin type prosthetics in no time at all. Best of all, offer your dentists and patients a more beautiful and esthetic restoration that will last due to GC's innovative new homogeneously dispersed nano-filler technology.